Connect your ICQ to your Facebook account and chat with Facebook friends from your ICQ. All your Facebook friends will appear in your ICQ Contact List as “Facebook Friends”. 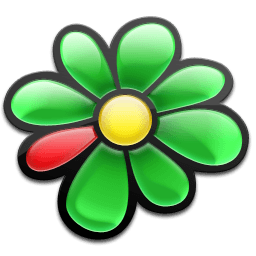 Connect your ICQ to your Google account and chat with Google+ and Google Talk friends from your ICQ. All your Google+ and Google Talk friends will appear in your ICQ Contact List as “Google Talk Friends”. Send photos, videos and files to all your contacts, including mobile phone, Facebook and Google Talk friends. Use your Facebook account or mobile phone number to sign in to ICQ and start chatting with all of your mobile phone contacts, Facebook, Google Talk and ICQ friends. IRC (Internet Relay Chat) is a virtual meeting place where people from all over the world can meet and talk.